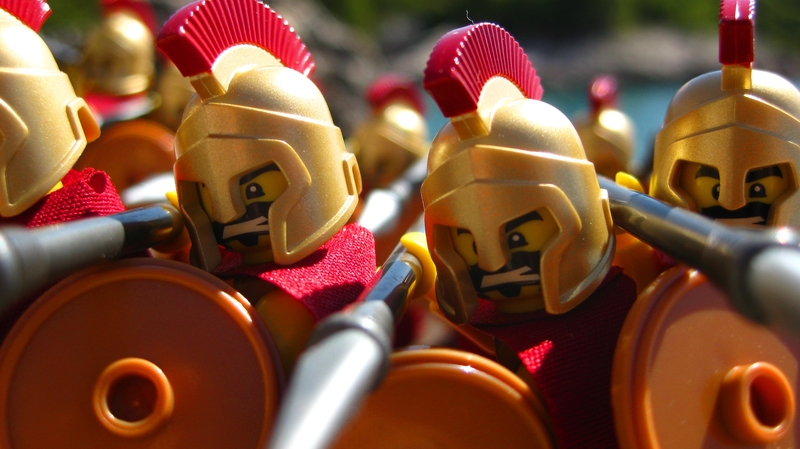 Startups and Sparta, for a look into how startups communities are collaborating – or not – in order to expand their reach and get visibility on the worldwide stage. Silicon Valley, and the United States in general, Israel, Berlin and London. These are regarded as thriving startup communities and benefit from a closer look from the market and the overall tech industry. Yet, startups are everywhere to be found. But some countries, cities or communities are still developing and others struggle to get their name on the entrepreneurial map. Let us have a look into these and draw the recipe for (potential) success. This is a standard but an actual community, or group, is based on numbers. A group of one or two is nothing like a community or ecosystem. What led Silicon Valley to becoming a hub is the grouping not only of innovative companies but people working there – smart people in fact – who did take part in building a community. And then it takes success – or at least stories – to get the show running. Think Apple, Google, and various others and this is the success story which tends to trigger a gold rush. Silicon Valley nowadays is just yet another piece of land where some found gold. The secret sauce to add to the mix is noise. Make some noise, be heard, be seen, be acknowledged. This is where some great communities do have a lack. Some cities or countries, although producing gold, tend to go strangely unnoticed when it comes to speaking startups. Or just being regarded as an ok place despite seriously delivering. Nordic countries overall have given birth to some major – and successful – startups (think MySQL, Rovio – yes, Angry Birds – or Skype) but still do not show up – nor do they show off though – on the major startup ecosystems map. Knowing Swedes, for instance, not advertising their success wildly does tend to go with their character. They behave themselves and do not make noise … and do not make noise either on the startup scene (just think Stockholm which could be sitting above Paris, Berlin and London). But no question that the Nordics do host a bunch of thriving and successful startups. On the other hand, some need to get organized and ensure working to achieve goals. France proves a good and bad example of an actual fight for (startup) glory. No question about the fact that the country hosts a lot of quality startups and is on par, if not beyond, the more known London and Berlin. However, the World does not know (enough) about it, yet, and rather face the headlines shared between 75% taxes and taxis waging war against the likes of Uber and co. In a bid to get all entrepreneurs under the same banner and fight the fight for image and visibility in the World, the “La French Tech” (#FrenchTech) initiative has been launched … by the Government … . One can but agree with this initiative that does make sense and is definitely needed. However, it should first have come from the startups themselves. And this FrenchTech family still has not gotten the point. Communities remain communities, Gallic villages trying to best their neighbors and draw more attention. From last weekend, having a look on Twitter at the Startup Weekends happening – 2 in France out of 16 overall in the world – I saw this one tweet calling people to make theirs better than the other French event happening (and, ultimately, maybe, get more visibility in front of the 14 other events). At that point, why not just be a little smart and make noise together while waving the same flag ? (note : their individual hashtags were nowhere near trending). Now, looking at the fact that, with this French Tech initiative, the Government has 200+ millions Euros to give out to a select group of the best ecosystems or cities or whatever they want to use as criteria, then the fight is only starting. The “300” film has made it popular. Spartans fight as one single unit, protecting each other. Well, successful startups communities tend to do so too. By successful, I am not looking only at established ones (Israel, for instance) but also at developing ones. Looking at Japan, building on a culture similar to France’s (entrepreneurship not initially seen as a career, failure not being an option, …), entrepreneurs have been – and are still – building an ever-growing ecosystem out of passion, sharing and helping each other. And in just a few years, the amount and quality of startups built is amazing. Not to mention that the mentality is changing with entrepreneurship beginning to look like a career path (just writing it is a huge progress) and even the Government actually willing to help develop the ecosystem of startups. Japan is already catching up on Europe which had quite a head-start. But they do it through collaboration. They are working on something new, something not part of the culture but they have the same goal, hence Tokyo working with Kyoto working with Osaka and so on with the one goal to make every startup in Japan as successful as possible. Two years ago, while on stage in Vilnius, I told Lithuanian entrepreneurs to “focus on working together”. Work together, develop together, succeed together. And that goes not only for startups but every person, every organization aiming at developing this entrepreneurial ecosystem. The startup scene is still young in this country and they are still developing but looking at it, remotely, for the past two years, they are developing at the speed of light. And they are putting together the (right) resources and support to make a name for themselves. When startups develop, go abroad and take the stage, they do market not only their business but the overall ecosystem and fly the Lithuanian flag – alongside with the Lithuanian startups flag. And then, Lithuania has been seen in Israel, agreeing on partnerships, at major events like TechCrunch Disrupt Europe, Tech Chill Baltics, etc … . Work together, develop together, succeed together. A closing remark, by quoting my own self, as this is the bottom line. Every community draws its origins in the work of many. And the development of startup communities/ecosystems is founded on the same principle. When people strive to make any project successful, to develop together, cheer for everybody’s success and … basically, collaborate.